Restoration of the ‘A’ listed sandstone town hall, the stonework and fabric were in a very poor condition. The objective was to bring the building back into use as an events venue and an asset to the local community. 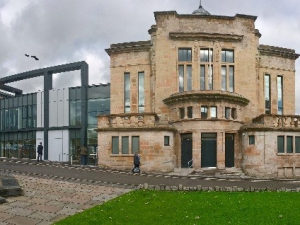 The new town hall incorporates a ground-floor event space, new entrance, reception and vestibule, first floor heritage display, new office and community space and kitchen, store room, toilets and locker room. 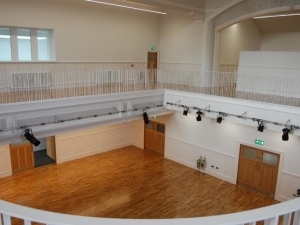 The hall caters for a range of uses – such as performances, events, weddings, heritage displays, receptions and meetings.